In fact, what passes for advice on infant feeding in books and on the Internet is confusing and conflicting, but most sadly, woefully inadequate. In fact, most health professionals are absolutely clueless when it comes to nourishing a baby during that critical first year of life. Let’s start with the American Academy of Pediatrics (AAP)—seems like this august institution should have the most accurate and detailed advice on how to feed baby. Here’s what they recommend: introduce solid foods around six months of age; expose baby to a wide variety of healthy foods; and offer a variety of textures. Correct me if I am wrong, but these suggestions don’t seem very helpful. An older suggestion, which persisted for many years, was iron-fortified rice cereal as baby’s first food. Widespread criticism about starting baby off on pure carbs, and the recent arsenic scandal (which found high levels of arsenic in conventional rice) has the AAP retreating from this dogma. Today, if you dig around on the AAP website long enough, you will find a grudging recommendation for red meat as a source of iron for baby. By the way, years ago, the AAP refused to recommend soy infant formula, due to reports of severe intestinal damage and thyroid problems in babies fed this toxic food. But when the AAP built their shiny new headquarters, they accepted a nine-million-dollar contribution from the formula industry, and their objection to this toxic food disappeared. Most moms don’t query the AAP when they decide to feed solid food to their babies, they just go to the grocery store. There they will find mostly pureed fruits and vegetables , along with strange mixtures like quinoa and peas. Plain pureed meat comes with “gravy” of water and corn starch. In the old days you could purchase pureed liver or egg yolk for your baby, but no longer. And have you noticed that there is very little choice anymore in the little glass jars? Much baby food today comes in plastic so you can introduce phthalates at an early age. E ven worse is the baby food in aseptic containers. These are lined with aluminum and flash heated to 295 °F. And yes, aluminum does migrate into the food when heated to such high temperatures, especially for acidic foods like applesauce. This is a largely plant-based diet, with most calories coming from fruits and vegetables. Baby is allowed no butter or other animal fats, and there is no suggestion of organ meats. He will get small amounts of fat from the lean meat, occasional egg and occasional cheese, but if mom decides to feed tofu rather than meat, even this source of fat will be lacking. Dr. Altman advises parents to avoid giving salt to their babies, and there is no butter or other animal fats, no red meat and no organ meats on this list. Baby gets lowfat or nonfat milk after age two, but plenty of rough whole grains—which could include rice cakes, “multi-grain” Cheerios and even granola. Needless to say, I did not endorse her book! 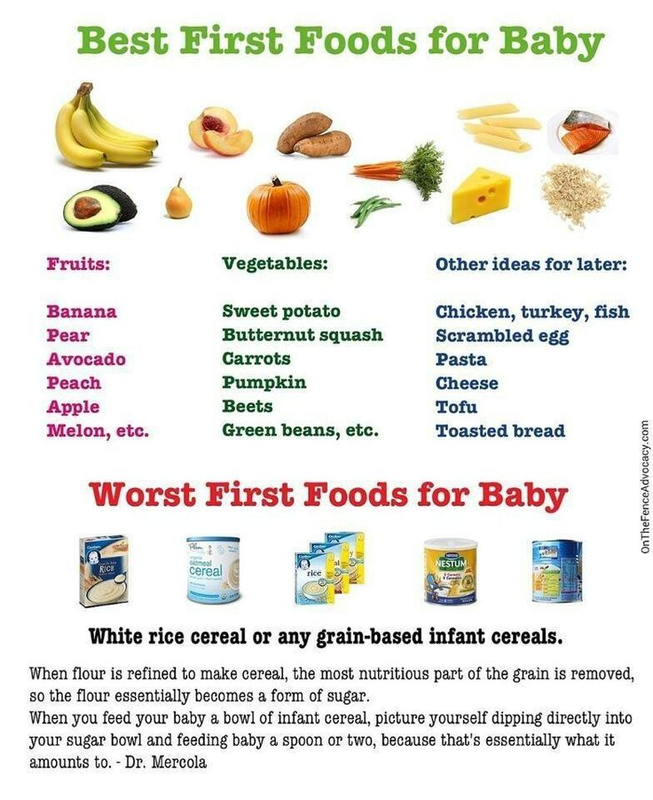 Overall, it seems that fruit and vegetables have replaced rice cereal as baby’s first foods, as illustrated in the meme below—but pasta and toasted (why toasted?) bread are OK. 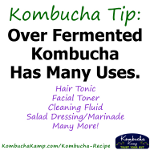 These guidelines allow small amounts of animal foods, which can be replaced by tofu, no problem. In all the versions of conventional guidelines, and in baby food sold at the grocery store, animal fats are absent and no one seems to understand the concept of nutrient density for baby. Then there is the very popular concept of baby-led weaning. . . which will be the subject of the next blog. The Weston A. Price Foundation is the world’s leader in bringing nutrient-dense foods back to American tables, and especially to growing babies. Your membership supports the work we do. Me and my wife are ten weeks pregnant, we are vegetarians who eat organic food, our own chicken eggs, butter, cheese, and fish occasionally etc. I picked up a copy of you Baby and Child care book this week. Where do I start, it feels like my eyes and heart are open to traditional ways of eating but we are so far behind the nutrient dense diet you prescribe. If you would please do a blog post on how to begin a traditional diet if you are already pregnant. Much warm thanks for your books and resources. You are not so far behind as you think–eggs, butter, cheese and fish are all nutrient dense food! 2. Start eating some chicken, and make broth with the bones and pate with the livers. If eventually you want to move to red meat, that is fine, but the poultry liver will give you plenty of iron, B12, etc, and the chicken bones will make nourishing stock. Next Next post: Bringing Up Baby, Part III – Baby-Led Weaning? ?